Louise moved to Somerset in 2003 and worked in the family department of a Yeovil firm of solicitors for ten years where, for the last three of those ten years, she was a partner in the firm. After a break of a few years, which were spent with her family, she was delighted to be able to join the family department of Harris & Harris in January 2017. 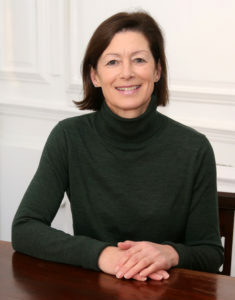 Louise was a member of the Law Society’s Family Panel from 2004 until 2014. She became a Resolution Accredited Specialist in 2011, the specialisms being Children Act Private Law and Domestic Abuse, and became a Resolution trained Mediator in 2011. Louise has many years’ experience in all areas of family law and has a special interest in surrogacy and fertility law.